03:59 benrob0329 Thus, when the animation starts it plays the starting frames, then loops until told otherwise. When the looping is done, it plays until the end of the animation. 04:00 benrob0329 This would allow transition frames to help smooth things out. 08:15 ShadowBot lisac: I haven't seen NathanS in #minetest-hub. 08:15 ShadowBot lisac: I saw NathanS21 in #minetest-hub 8 weeks, 6 days, 20 hours, 26 minutes, and 30 seconds ago saying "hi tenplus1"
11:14 Aerozoic do i still need to ask for +V from the boss? 11:37 tenplus1 what happened ? 11:43 Megaf tenplus1, where did you get it from? 11:47 Megaf oh man, I'm so glad I took my time to fix this Debian install. 11:47 tenplus1 Megaf: does that pull in any extra filesfrom repo by doing that ? 12:13 Megaf Are you a cat? 12:16 Megaf Did anyone see the light leak bug yet? 12:16 tenplus1 leak bug ? 12:21 Megaf should I begin to right a disclaimer in everything I post about the way my brain works? 12:29 Megaf Anyone else wants to thumb down that comment? 12:31 Shara Shouldn't pass what? 12:41 Megaf tenplus1, back to libreoffice, I'm just downloading the stable version 5.3.6 from LibreOffice.org, because I will be using it for essays and stuff for college. So I need something very stable. 13:01 Megaf "sh: 0: getcwd() failed: No such file or directory" What does this error even mean? 13:10 tenplus1 Jordach: what kinda training ? 13:18 Shara Am I understanding it wrong? 13:19 Shara MarkuBu commented: "But what is more annoying? An unrealistic light in cases like mine or a missing light through a gap?" 13:23 tenplus1 is auth.txt being reworked for 0.5.0 as well ??? 13:56 Calinou university, or private training? 13:58 Jordach >In this task, you will use Windows Server 2008 R2 which is running the Hyper-V service. You will prepare an empty virtual machine where you will perform the installation of Windows 7. 13:58 CWz anyone know a good remote desktop client for andriod? 14:10 Calinou tenplus1: FriendUP Os? 14:11 Calinou if something is unintentional, is it tentional then? 14:12 paramat seems to be an inevitable result of how smooth lighting works, lighting of each face is determined by blending between the light at the 4 corners, and since some corners are bright ..
14:13 Shara But once a thing works a certain way, people wil use that. So when if it's lost, ome things people have made because of it will break. 14:17 Fixer where is octacian? 14:28 tenplus1 any spoilers ? 14:40 Fixer and inventory at key I..
15:04 IhrFussel I makes sense...what is E ? "Enter inventory"? 15:05 IhrFussel Why would you need to open the inventory while walking? 15:07 IhrFussel People can remember the keys better if they can say "[key][rest of meaning]"
15:09 Shara IhrFussel: I like the key making sense as well, and it's nice if the name means something. I'm just saying I see why E could also make sense. 15:10 Shara I don't follow there. 15:11 Shara Where do people who have inventory on E usually have running? 15:13 Shara paramat: it's generally used for running. 15:20 Calinou why not R? 15:25 Aerozoic What is the difference between enable_sprinting = true in minetest.com and just pressing F with fast priv? 15:47 Shara would be better, but peopel would still call it "run"
15:56 sofar top world record is 100m in ~8 seconds > ~14 m/s at the finish line? 16:46 IhrFussel paramat, if I set map_generation_limit to 15,000 and later set it back to 10,000 for example what will happen? 16:53 IhrFussel So map_generation_limit is actually the "out of bounds" limit? 17:34 IhrFussel paramat, thanks for looking into the code for me =) ... are nodetimers always more efficient compared to ABMs? 18:10 twoelk so a placed sapling missing the first chance is not revisited? 18:13 Raven262 Calinou, I somehow managed to finish the first episode of Doom on my android phone, it was quite hard. Btw, GZDoom has some really good performance on android. 18:17 twoelk and ? differences in performance? 18:31 Calinou which skill level? 18:44 behalebabo what was that server where players spawned underground? 18:56 rdococ tenplus1, wait, that's possible? 18:59 Krock what? default chests? 19:07 Shara I dislike "cheat" code because there are holes that allow cheat code to exist. 19:07 Shara I don't like there being holes. 19:10 rdococ I am full of interesting, redundant redundancy on this very day, today. 19:11 rdococ lol, that was so funny it made me laugh out loud, loudly as I laughed with tenplus1 who said lol. 19:13 Raven262 The 0.4.16 original texture pack was actually a really good idea. 19:14 Raven262 Used it on IhrFussel's server, cause i dislike the texturepack that is in use there. 19:15 Raven262 tenplus(n) minus (n-1)? 19:17 Raven262 Square root of minus one? 19:18 tumeninodes omg my eyes!!!!!! 19:21 tumeninodes complex number is.... "complexed"
19:21 tumeninodes hey, did anyone see my screenshot of trails in snow made by rolling snowballs a couple days ago? 19:22 tumeninodes has anyone ever seen that before? 19:22 rdococ Raven262, for 4D space, OCTONION! 19:25 Raven262 Nice, tumeninodes, i actually saw it before. 19:25 tumeninodes It's so weird isnt it? 19:26 tumeninodes I think it might be related to a tnt blast? 19:27 Raven262 If i could only dig up one of the screenshots of Amaz's snow/mountain biome in LOTT. That one has weird snow. 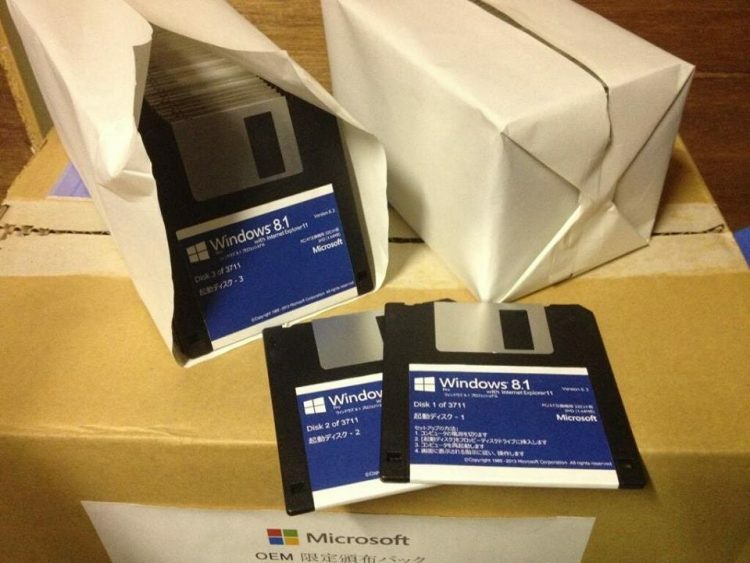 19:27 garywhite ERROR: Windows did not install right because we do not support floppy disks anymore. Please try again. 19:28 Raven262 I did it too. 19:28 Raven262 Never doing it again. 19:30 rdococ She turns my floppy into a hard disk. 19:31 rdococ a USB floppy?! 19:42 Raven262 I played it twice. 19:45 Raven262 You can say that i'm not much of a fan for that kind of a map design that E4 has. The maps are covered in those wood/metal textures, gets boring after a while. 19:54 * Raven262 is afk. 20:34 * Raven262 is back. 20:35 Raven262 Hmm i didn't play much of freedoom, is it worth playing? 20:40 Raven262 So, well, gonna try it. 20:41 Raven262 Hard as plutonia experiment? 20:44 Raven262 btw, i gotta go to sleep in about and hour. 20:46 Megaf Anyone near Frankfurt? 20:47 Raven262 That does add more monsters to the maps, right? 20:48 Raven262 I'm learning English. 20:48 Raven262 Calinou, I'm ready, set up your server. 20:51 Raven262 Hmmm your server shows tnt as the iwad. 20:53 Calinou Raven262: server is restarted now, does it work? 21:01 Megaf Calinou, does FreeDOOM needs the original doom files? 21:01 Calinou Raven262: is your Freedoom up-to-date? 21:20 Megaf 8 bit 640x480 fullscreen for the win! 22:01 Calinou Megaf: heh, which source port are you using? 23:23 Megaf rubenwardy, by the way, since when you are the owner of the repo!? 23:26 Megaf So don't you think that in MT we at least have the light leak from lava? 23:27 Megaf Am I the only hyperactive dyslexic here? 23:28 Shara Megaf: Aren't you like... usually closer to me than Frankfurt is?